The official trailer for the much-publicised “Away Bus” movie is finally here ahead of the premiere this weekend. 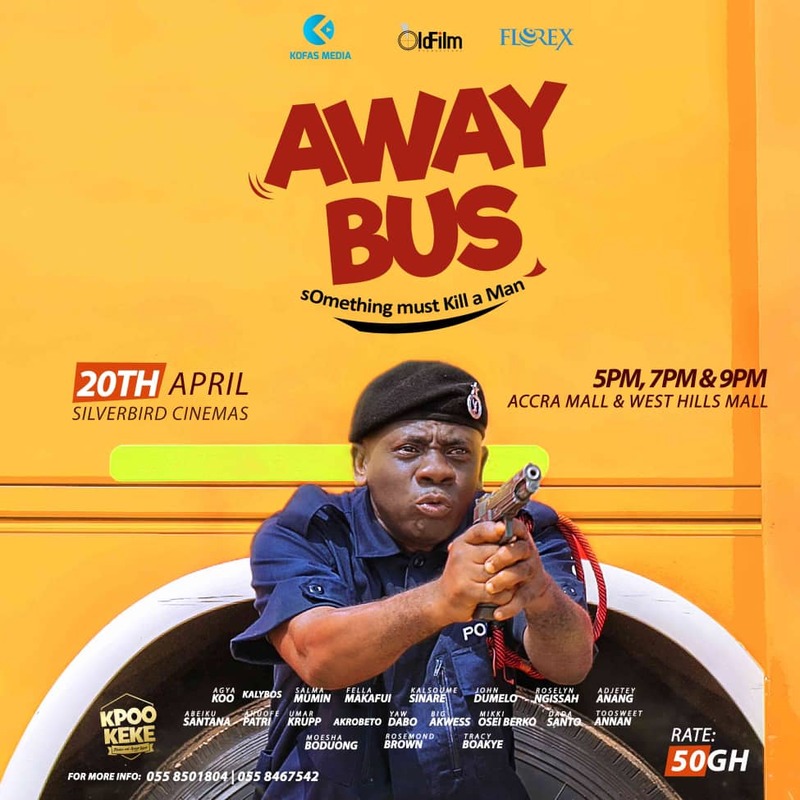 “Away Bus” stars John Dumelo, Kofi Adu ‘Agya Koo,’ Fella Makafui, Tracey Boakye, Rosemond Brown, Mikki Osei Berko, Patricia Opoku-Agyeman, Kalybos, Yaw Dabo, Akwasi Boadi ‘Akrobeto,’ Big Akwes and a host of others. The official trailer which landed today (April 16) features some chilling scenes as well as rib-cracking ones. It will premiere at Silverbird Cinemas in Accra on April 20 and will be premiered in other regions across the country. Two sisters – BIBI and KIKI, have to raise twenty thousand Ghana cedis within 12 hours for an emergency surgery to save their dying mother. When all attempts to get help from family and friends failed and the clock ticks, they decide to try a highway bus robbery to raise the funds. It is a successful robbery; they’ve gathered enough to save their mother. Just as they are about celebrating their success, a different team of armed robbers show up at the scene and robs them of everything they had robbed. With time fast moving, their mother’s life in their hands and the armed robbers in charge of their money, they have to make a decision that will save them and their mother.